A podiatrist accompanied by nail salon workers offers free pedicures to seniors. Sounds like a great deal, right? But the foot doctor winds up billing Medicare for phantom foot surgeries. An equipment supplier gives away free knee braces to seniors, but then bills Medicare for more expensive types. These are just two examples of how fraud is driving up America’s healthcare costs, according to Jim Landers, a reporter for the Dallas Morning News. Such rampant abuse amounts to anywhere from a staggering $93 billion to $310 billion, or 3 to 10 percent of what the US spends on health care, he says. Consumers are told by the charlatans that the goods and services they are getting will not cost them a thing. The reality is that they may not be paying anything at the point-of-purchase, but all the waste will result in increased Medicare premiums they have to shell out the following year. Last summer, a company advertised free DNA testing for seniors, according to Landers. 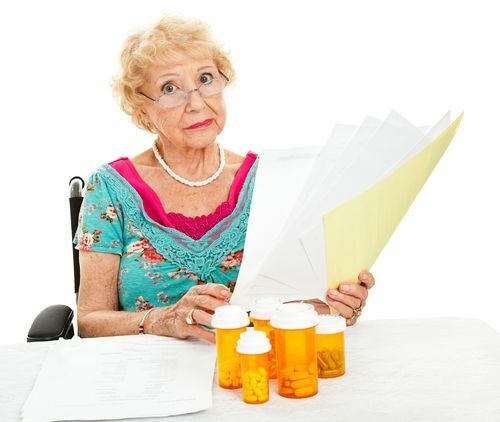 A representative from the company explained to the unwitting group gathered at a senior center in Carrollton, Texas that Medicare was spending $136 billion a year on seniors who were hospitalized because of adverse drug interactions. He claimed that DNA testing could identify how well the seniors are metabolizing the drugs they are taking, which would then aid their physicians in avoiding the bad drug interactions -- a very dubious claim at least at this time. Marilyn Hoss, who was one of the about 20 seniors who showed up for the genetic testing, said the company representative claimed that Medicare was paying the firm to run the tests because it would save the federal government a lot of money, according to Landers. Medicare wound up paying the laboratory a whopping $1,187 to run Hoss’ DNA test. Fields says that Medicare’s fraud and abuse problems in the Dallas area are found primarily in three medical segments: home health care, hospice care, and durable medical equipment. Home health care in a number of Texas counties is “just out of control,” he says. A special strike force that was established in Dallas to try and fix the problem unearthed illegal schemes that billed Medicare for more than a half a billion dollars, according to Landers. But sadly, only a little over $50 million was recovered. Meanwhile, there have been 63 indictments and 43 convictions to date. In 2010, Congress approved $100 million for the Centers for Medicare and Medicaid to develop computer programs that can help identify suspicious claims before issuing payment, according to Landers. In 2014, the software was credited with preventing $211 million in fraudulent payments. A common theme running through all of the Medicare schemes, according to Landers, is the notion that they are so-called victimless crimes. He quotes the cautionary words of Neil Thomas, a former employee benefits manager in Dallas, on this misguided view.